Is the most bearish Tesla analyst too extreme? Tesla's 344% surge in 2013 and 70% jump so far this year constantly raises questions of whether the stock may be overvalued, but Bank of America Merrill Lynch analyst John Lovallo's ultra-bearish view seems a little extreme. Tesla bulls, meet the Tesla bear. Bank of America Merrill Lynch analyst John Lovallo has never been on the Tesla bandwagon. And though the stock's 344% surge in 2013 and 70% jump so far this year have people constantly questioning whether the stock is overvalued, Lovallo's ultra-bearish view seems a little extreme. Lovallo reiterated a $65 per share price target on Tesla (TSLA) Thursday. 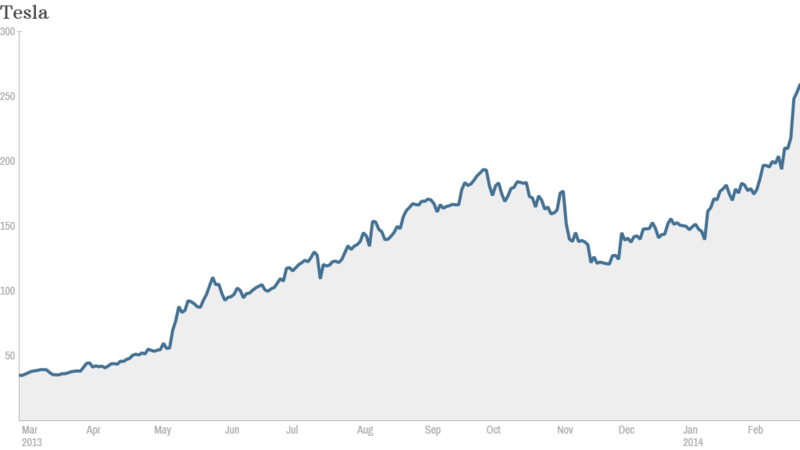 That's 75% below the stock's all-time high of $265 that it reached Wednesday. Tesla's recent run has been partly fueled by enthusiasm about the plans for what founder and CEO Elon Musk has dubbed the "Gigafactory," a huge new lithium battery factory. Those batteries, and the reduction in their cost, are widely expected to help the electric car maker produce a cheaper car. 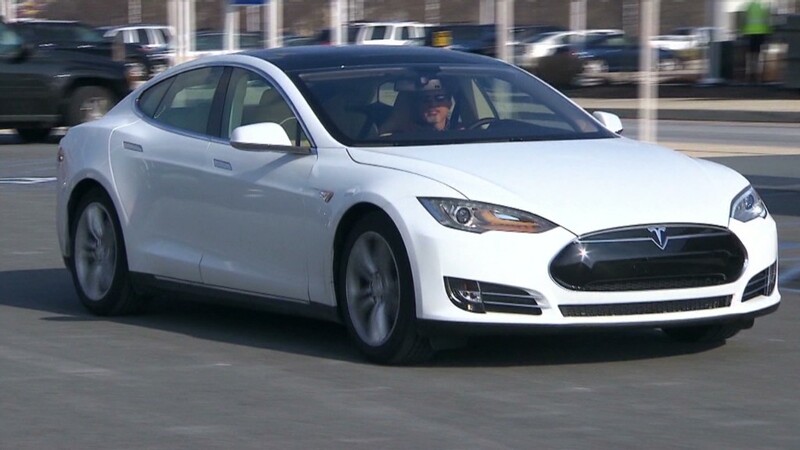 The electric car maker's current model, the Tesla S, has a starting price of $69,000. A mass market vehicle could truly catapult Tesla into the ranks of the major automakers. But Lovallo isn't buying it. He thinks the new factory will increase costs for Tesla. "We believe it is important for investors to remember that Tesla is an auto manufacturer, first and foremost, which is an inherently capital intensive business," Lovallo wrote in a note to clients Thursday. "In our view, the Gigafactory investment will translate to even more capital intensity and add further pressure to margins and returns." And just because the factory will give Tesla the ability to produce 500,000 cars annually, Lovallo doesn't think there is necessarily demand for that many of Tesla's vehicles. While Lovallo has major doubts about the Gigafactory and Tesla's future, he seems to be a minority of one. There are plenty of other Wall Street analysts are believers. Morgan Stanley's Adam Jonas said that "Tesla's quest to disrupt the trillion-dollar car industry" with the Gigafactory gives it an opportunity to also disrupt the trillion-dollar electric utility industry. Jonas raised his price target on Tesla to $320 per share on Thursday, up almost 30% from current levels. "If it can be a leader in commercializing battery backs, investors may never look at Tesla the same way again," he said. But don't tell that to Lovallo.